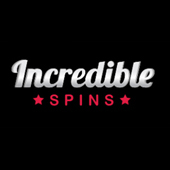 Launched in 2019, Incredible Spins casino is owned and operated by Jumpman Gaming Ltd. The front page immediately shows the welcome offer for new gamblers, and the list of biggest winners and their prizes. The website uses a nice blend of red, white and black to create a distinct look for itself. While it all looks good, it lacks anything that really makes it memorable compared to other casinos. Incredible Spins has dual licenses from the UK Gambling Commission and the Alderney Gambling Control Commission. Player data is kept secure via encryption, firewalls and access control policies. Like many recently released casinos, this one is also designed for touch screen devices first and foremost. All the buttons are huge so people can tap them easier. The website is focused on video slots, and has a wide variety of them available for play. You can enjoy newer releases with impressive graphics, or the ever-green classics everyone loves even if they look dated. However, there do not seem to be any progressive jackpot slots available at Incredible Spins. The casino does have a decent variety of providers on its platform, giving their gamblers plenty to pick from. The operator’s name was used as the welcoming bonus, spinning the Mega Reel to win different promotions. On top of this, there are VIP programs, cashback schemes, trophy collections and happy hour spins. It can all be a bit overwhelming at first, but it is nice to have so many options. Incredible Spins also has an incredible offering of games, in raw numbers if not variety. They have a total of 620 titles, and no easy way to find what you are after. As a result, our information may not be entirely accurate, as we might have missed something in the mountain of games available at the casino. One thing that is incredibly clear is that the operator is very focused on video slots. Slots form the majority of all releases, and give you plenty of options to pick from. They have a decent library of older titles that used to be very popular back in the day. But if a historical deep-dive is not for you, Incredible Spins also has newer releases. Personally, we like a mixture of both, and we appreciate having so many options to choose from. The website has a separate jackpot category, and 42 games available there. Not all of these are progressive jackpots – for example, Joker Gems is a slot with a fixed jackpot. Some titles are also replicas of existing ones, with a jackpot attached for the fun of it all. It adds variety, but also artificially inflates the number of games available in this casino. If you are a fan of table games, Incredible Spins’ offerings will be quite scarce. We found one blackjack title, and two roulette games, and that was everything. No baccarat or video poker, or any alternate card games to keep players interested. We also failed to find any live casino titles. Seeing as the operator launched quite recently, we believe both this and the table games will be rectified over time. As for right now, if you want to face off against other gamblers, you will have to try another casino. For arcade games, we were able to find two lotto and three bingo titles. Once again, a very sparse offering of anything that is not a slot, and something we hope will improve with time. Incredible Spins casino gives players a few options for deposits and withdrawals. You can make deposits with Visa, MasterCard and Maestro credit and debit cards, Paysafe, Paypal and Pay by Mobile. This makes for a rather limited offer compared to most other casinos. We expected Skrill and Neteller to be available, at the very least. Gamblers cannot withdraw within 48 hours of their first deposit, and after adding a new payment method to their account. To cash out any bonus winnings, you have to complete the wagering requirements set for that specific promotion. Players also have to go through e-mail verification of age and identity before they can make any deposits or withdrawals. If you wish to withdraw your money, you have to first wait a three-day pending period. During this time, you can choose to reverse the withdrawal, but after it passes, the money is no longer available. After that, gamblers then have to wait an additional one to three days for the processing to finish. The operator holds all customer funds on a separate bank account from other company funds. However, this money is not protected in the event of insolvency. Incredible Spins has two licenses. The UK Gambling Commission license that applies for British players, and the Alderney Gambling Control Commision license for everyone else. Thanks to the UKGC license, the casino is subject to strict rules and regulations. The operator handles all user data securely using encryption and firewalls. Third party audits ensured that the casino complies with the standard set in ISO/IEC 27001:2013. If you need some assistance, you can make use of the live chat to send a message to the support staff directly. Alternatively, gamblers can send a message by e-mail should live chat not be available. There is no phone number to contact. The operator has an extensive FAQ available that covers most of the important questions. If you plan on registering at Incredible Spins, we recommend reading through it. When we wrote this review, the casino did not have any social media presence. While Incredible Spins has potential, it is currently undergoing some growing pains that it has to beat. The website looks pretty cool, and we do like the variety of different games available in the lobby. The website’s commitment to user security is also commendable. But the negatives are simply too high. The casino needs more payment processors, and desperately needs a better way to organise available titles. And while the offering of slots is fantastic, everything else needs a lot more work, especially table and live casino games. So while Incredible Spins stumbled at the start of the marathon, they still have room to recover and win the whole thing. With strong licenses and an interesting welcome bonus, we imagine it will be quite popular. And once it fixes the negatives, it will truly be incredible.